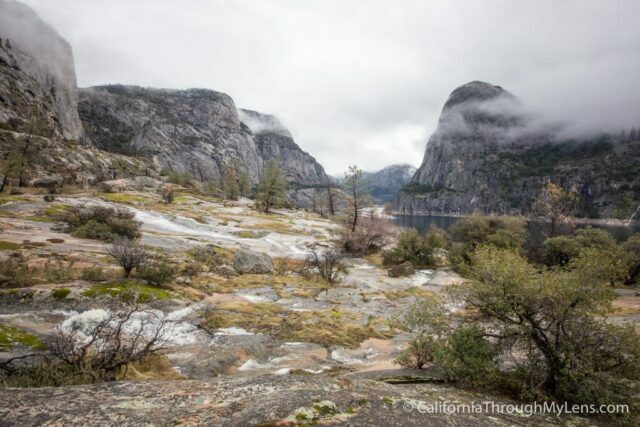 Regardless of how you feel about the creation of Hetch Hetchy, it is hard to debate how beautiful it is currently with the reservoir and how even more beautiful I am sure it would be in its true state without the water. 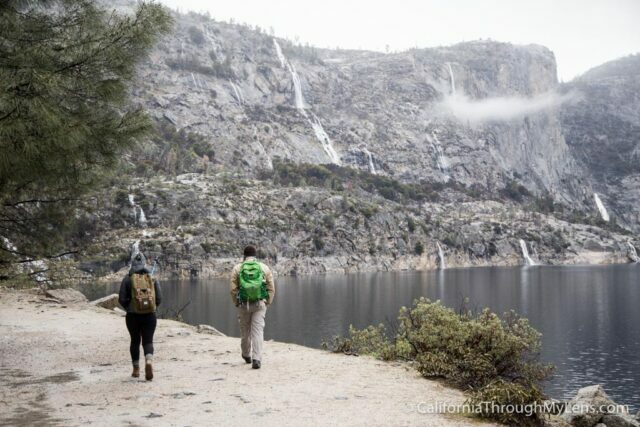 I got a chance to spend some time hiking there after the last rain / snow storm we had and I can honestly say it was one of the most beautiful spots I have been in a long time, it even reminded me of the time I spent in the Tracy Arm Fjord in Alaska, with waterfalls coming down everywhere you looked. Of course, I cannot guarantee it will look like this when you see it, but I am sure it will still be magical. 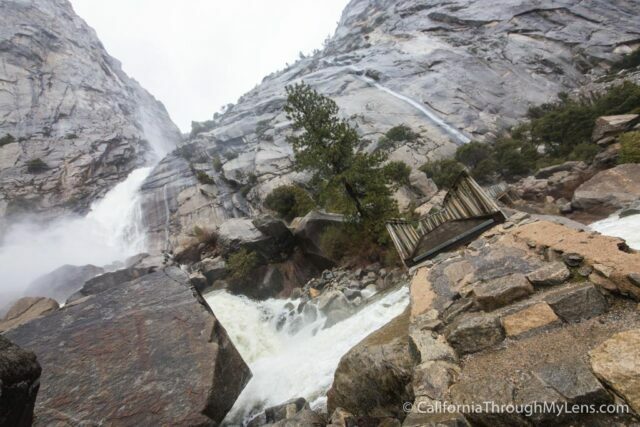 Here is all of the information on the most popular hike in the area to Wapama Falls. 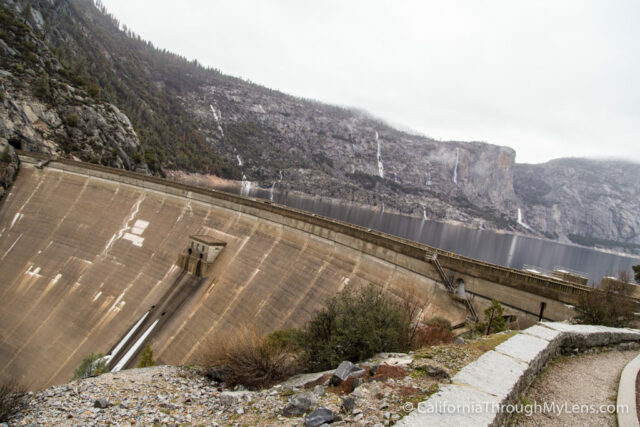 Hetch Hetchy is located off Highway 120 and it takes about 30 minutes to drive from the highway to where you will be parking. This drive is full of beautiful views though as you head down the two-lane road into the canyon itself. There is a good sized parking lot at the base but this area is never that busy so you can usually find parking. When we went in the winter we didn’t see another person the entire time we were on the trail. 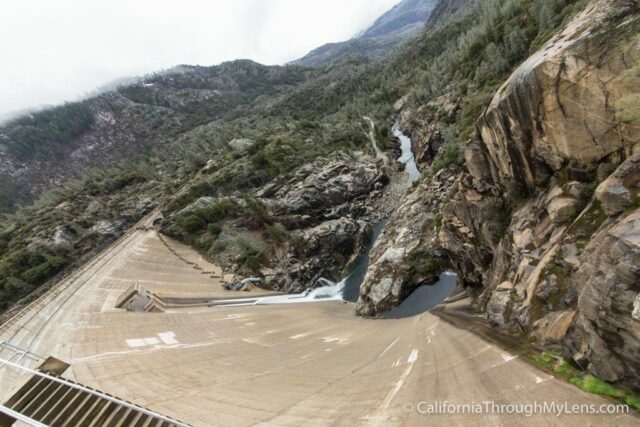 After parking, you will head across the O’Shaughnessy Dam which what holds the water in place for Hetch Hetchy. 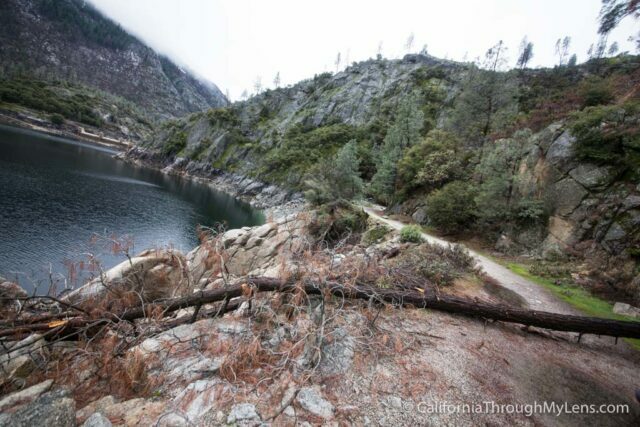 This is a great spot to explore as well, both sides lead to beautiful vistas of the area itself. 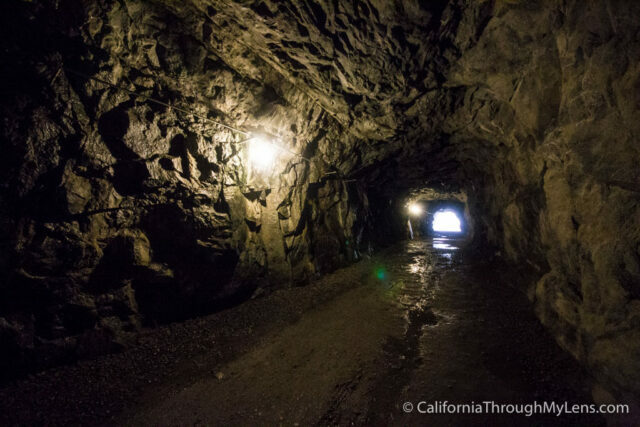 After crossing the O’Shaughnessy Dam, you will come to a tunnel which you will walk through to the start of the Wapama Falls trail. 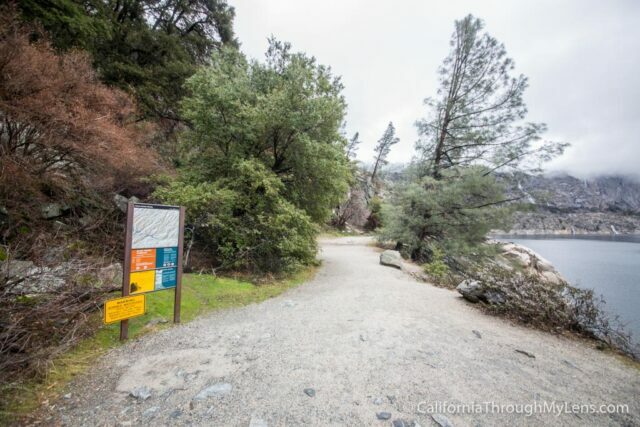 The trail itself hugs the water for the entire duration, but you are never that close to the water as it is at least 50 feet below you at all times. 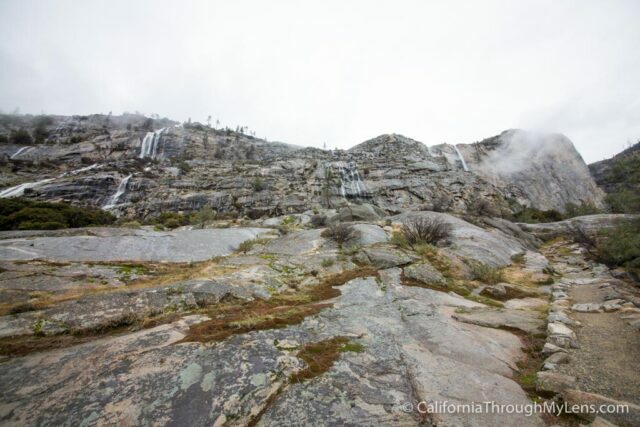 We went after a rain storm so most of the pictures will look different then when you go, including this decent sized unnamed waterfall that fell right onto the trail when we went. The trail itself was even rushing with water in some places, which provided wet feet, but made it a really unique hike. 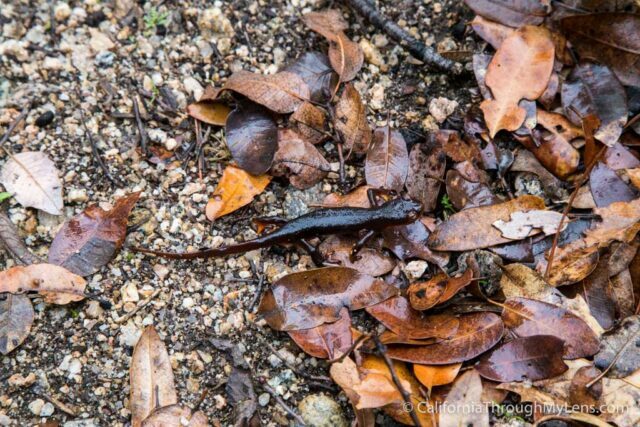 Be sure to watch out for newts as you walk, we saw at least a dozen during our time in the area. The trail continues along a well-worn path with more small waterfalls on your left-hand side, including the big waterfall known as Tueeulala Falls. You also continue to get better and better view of Kolana Rock, which is the large rock formation on the other side of the water from the trail. Wapama Falls is a majestic waterfall that packs a lot of power. 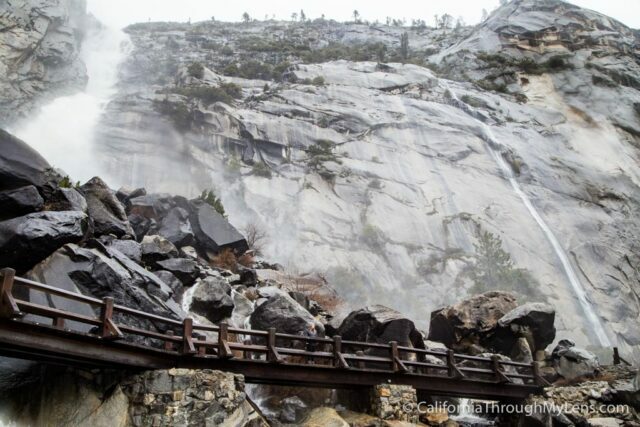 It will get you wet as you proceed across the bridge, but you will want to take it in from all angles. 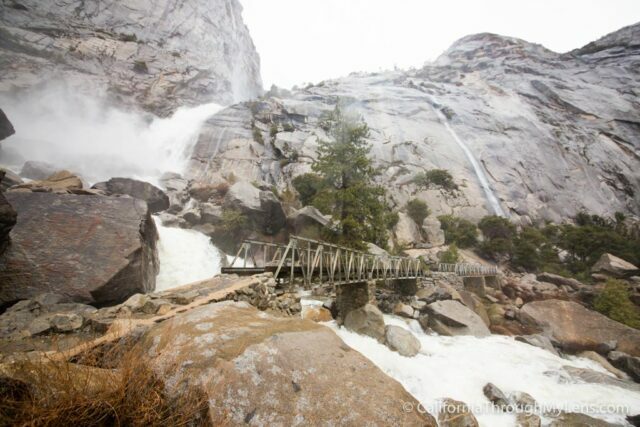 The bridges themselves are unique for photography as they have been weathered by the elements but still provide safe passage over the runoff. From here there is another waterfall that is about 3 additional miles away called Ranchera Falls, but I did not go to that one myself so I can’t comment on it. It was pouring rain on us so we just headed back on the same trail to where we parked. 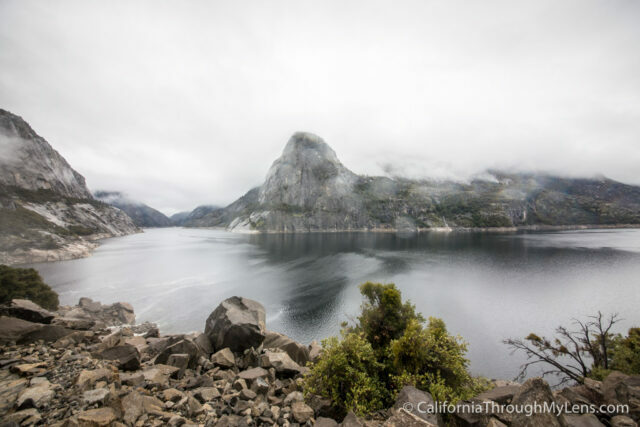 Hetch Hetchy is one of those spots that you really need to go to when you are in Yosemite. 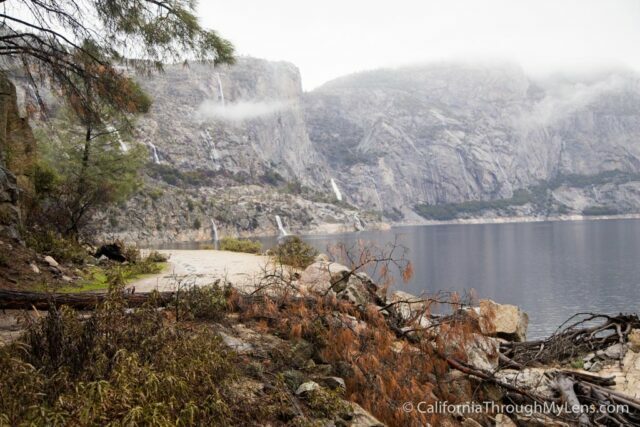 It is incredibly beautiful and it helps you understand more about the national park itself. Be sure to check it out, especially during the spring or fall, when you may even have the spot all to yourself. Here is a video I made while there as well. Let me know if you have been and what your thoughts are in the comments.